Shoot what you want, when you want, where you want, how you want. 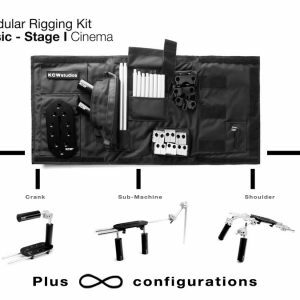 Modular Rigging Kit does exactly that. MRK Basic is designed to build your dream DSLR, small-bodied cameras, audio and lighting rigs. With today’s fast technologies advancements, configurable modularity is key. 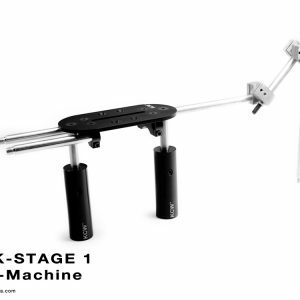 Stage I (Cinema) is a robust kit that easily configures to many mounts. Configuration for five gaks are included. Gunner, Crank, Sub-Machine, Shoulder and Journalist. With two or more kits; 3D. Part of KCW™ technica Rigging System, only major industry standard connection points are used. 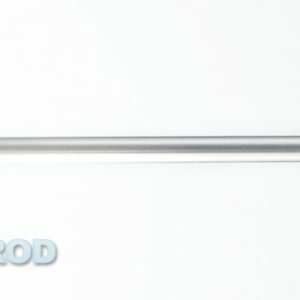 5/16″, 3/8″, 1/4″, 5° incremental, 15mm & 19mm. Our exclusive innovative clamps/converters allows using 15mm rods to 19mm to imperial standard rods. 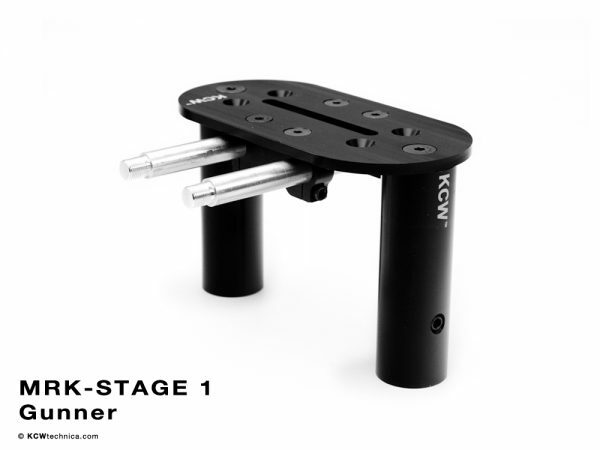 Regardless choosing to go with KCW™ technica Standard Supports (Carbon Fiber Mattebox, Follow Focus, Wireless Follow Focus & Zoom) or using your existing or opting for any other industry standard manufactures, it all fits, perfectly.